All roads led to the Hordern Pavilion and Royal Hall of Industries as more than 7,000 building professionals attended the Sydney Build Expo last Thursday and Friday, March 14th and 15th 2019. And with a hearty representation of suppliers and merchants on exhibition stands and presenting on stage, timber and forest-based products was the talk of building professionals far and wide. Roving the exhibition floor, Responsible Wood’s Jason Ross was blown away by the level of traffic throughout the expo. 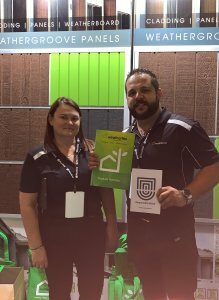 “The traffic through Thursday and into the Friday was heavy, the Thursday especially with builders, tradies, specifiers, renovators and DIY’ers filled the floor with questions for exhibitors and speakers alike,” Mr Ross said. Representing Responsible Wood, Australasia’s largest forest certification scheme, Mr Ross was on hand to assist Responsible Wood scheme holders and endorsed certification bodies exhibiting and presenting throughout the expo. “More and more builders and specifiers are recognizing that timber is a renewable, but in order for timber to be the ultimate renewable it all starts in the forest. And that’s where Responsible Wood comes in,” Mr Ross said. Amongst Responsible Wood scheme holders at the expo, Weathertex (pictured), specialists in wall panelling and timber cladding, presented the case for timber cladding as part of the Sustainability Summit. Recently featured in the latest Responsible Wood Bulletin, Weathertex’s Responsible Wood Chain-of-Custody certification provides end users with peace of mind as it tracks forest-based products from a sustainable source through to final product. 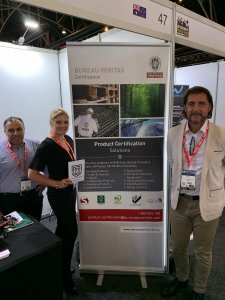 Onto the exhibition floor where certification body Bureau Veritas Australia (pictured), one of 11 certification bodies accredited by Standards Australia to certify against the Responsible Wood Chain-of-Custody standard for forest products, was on hand to promote the benefits of certification. In order to participate in the Responsible Wood certification scheme, timber processors, suppliers and merchants must engage an endorsed certification body to ensure that the Chain of Custody from the forest is maintained. 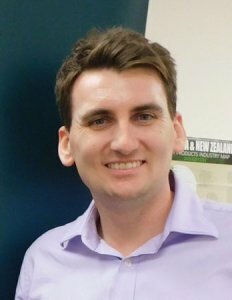 “For those processes, suppliers and merchants looking to gain certification, please contact an endorsed certification body, with a list available for download from the Responsible Wood website to discuss steps involved in achieving certification,” Mr Ross said. Demand for Responsible Wood certification is increasing with a number of timber merchants and suppliers reporting an increase in requests for forest certification claims on timber. For more information about ‘Getting Certified’ please click here for a list of endorsed certification bodies, for more information about Responsible Wood Chain of Custody please click here for ‘What is Chain of Custody?‘.